Decks: Large lag bolts are used to secure all load-bearing areas, so ensure that they are intact and in good condition. Also check for splinters, decay, loose boards, warping or protruding nails. Screened areas: Screen doors should roll easily and firmly close. Check for any damage to screens that could let mosquitoes in. Patios: Check that the area underfoot is level and solid to prevent any accidents from occurring. By ensuring your outdoor areas are safe and in good condition, you ensure a fantastic space for enjoying the warmer months outdoors. 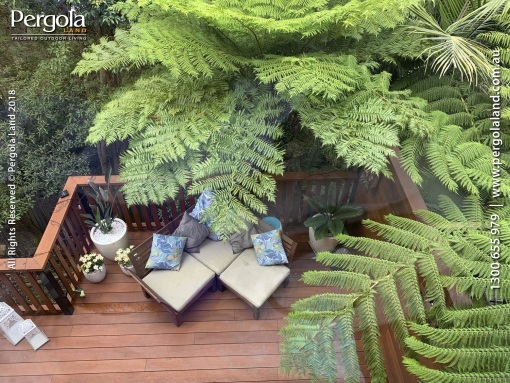 Look for ways to further cool your area, such as planting, and you will never want to leave your outdoor room.